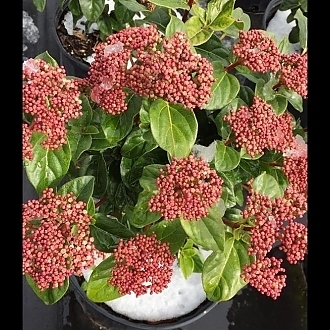 Shades of Pink™ Viburnum is the new standard of Viburnum breeding. 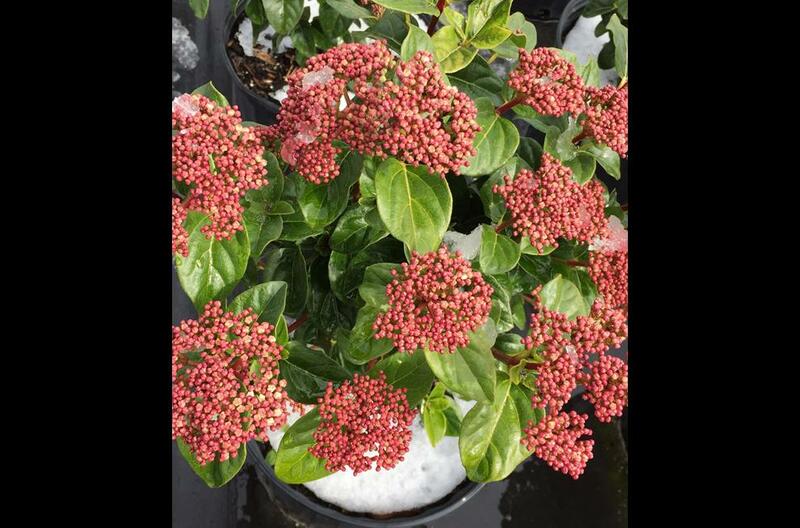 It has glossy, year-round foliage and bright pink buds that open to blush pink flowers in early Spring. This compact shrub is perfect for borders, hedges, as a landscape accent or as a feature in a decorative container. It has a high heat tolerance and can grow in shade and clay soil.